X Axis Ballscrew mounted in support and rails attached. 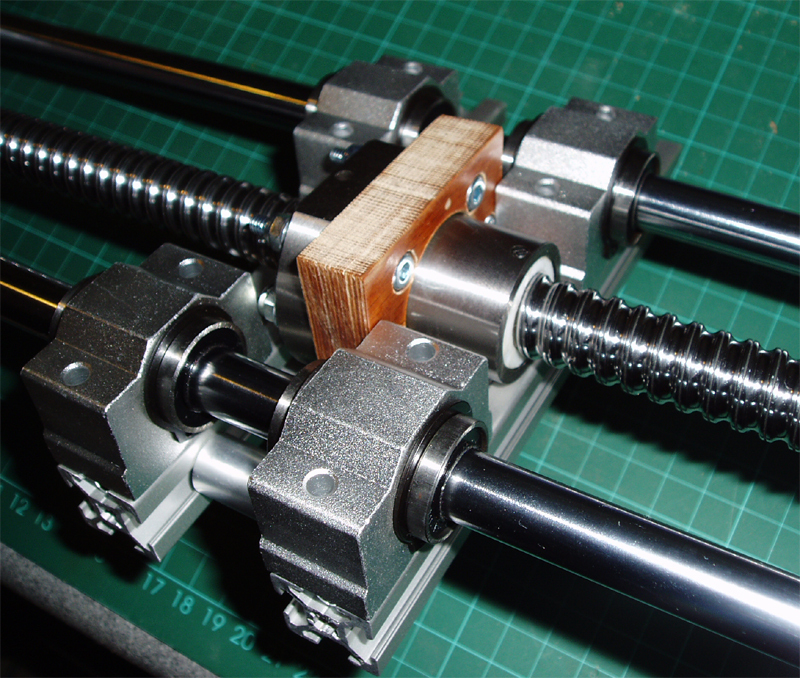 Completed X Axis with 20mm T-slot Guides for alignment of Extruder / head / etc. 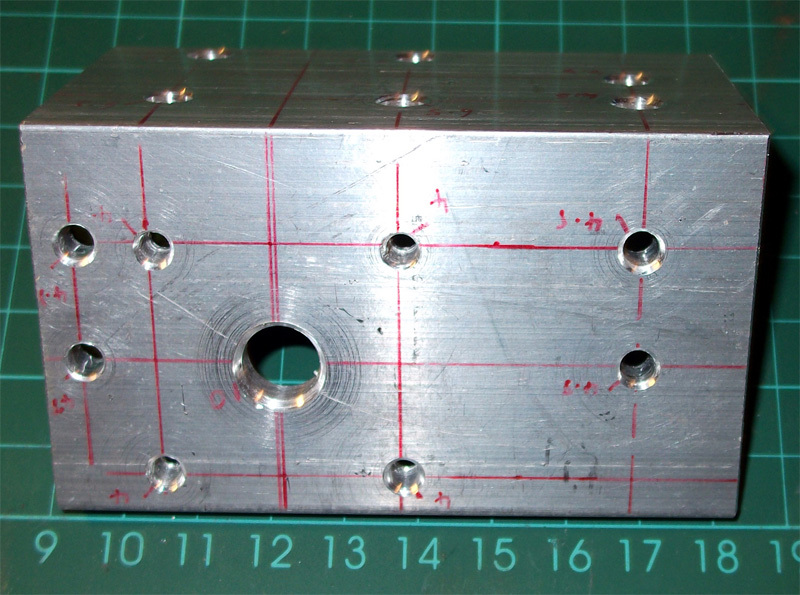 This provides about 32cm of build-bed coverage and only slightly less with a dual extruder design. Just managed to also get the Y Axis bed supports drilled, these will allow a flexible build-bed size and an easy way to fix and remove it. My first bed on this design will be Glass, so I want some replacements to swap-out quickly. Complete mechanical assembly over the weekend, I will be getting onto the electronics﻿ next week hopefully. 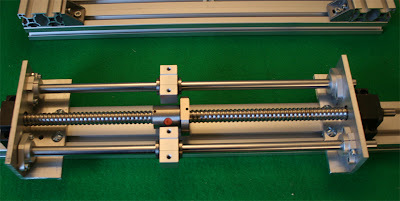 Ballscrew and Motor brackets now made. 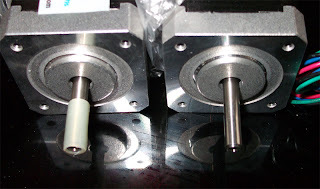 These will connect the ballscrew to the Y and X stages. 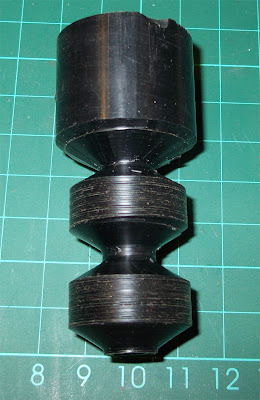 R/H picture shows a NEMA17 motor mount for the X stage. I will be fitting them later, more photo's if they fit. So the Plan with the Z stage is now to use M8 Rod and make some Delrin Nuts for it to move up and down. 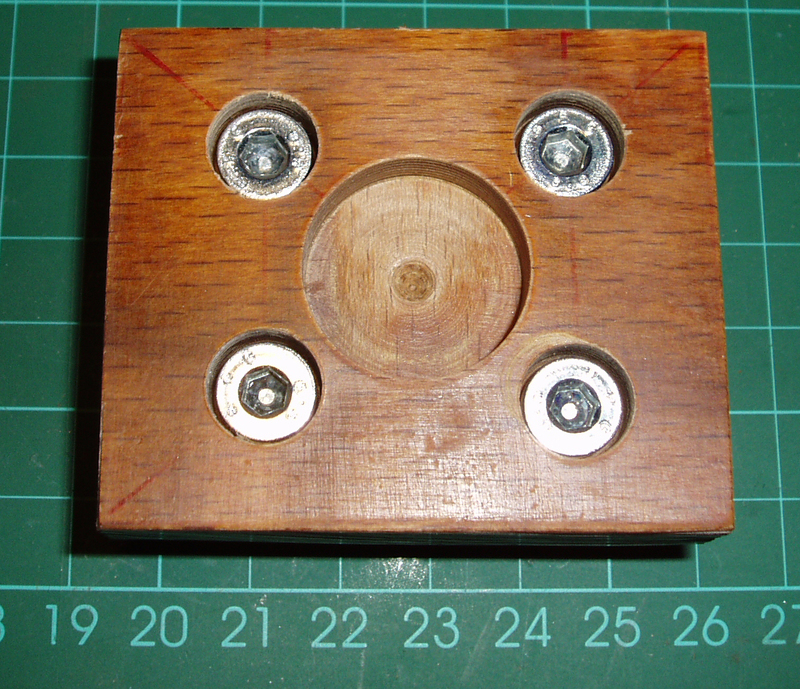 I will change over to M10 Trapezoidal leadscrews if this arrangement actually works. Delrin Bar stock and M8 rods. Not bad for a first stab at it? 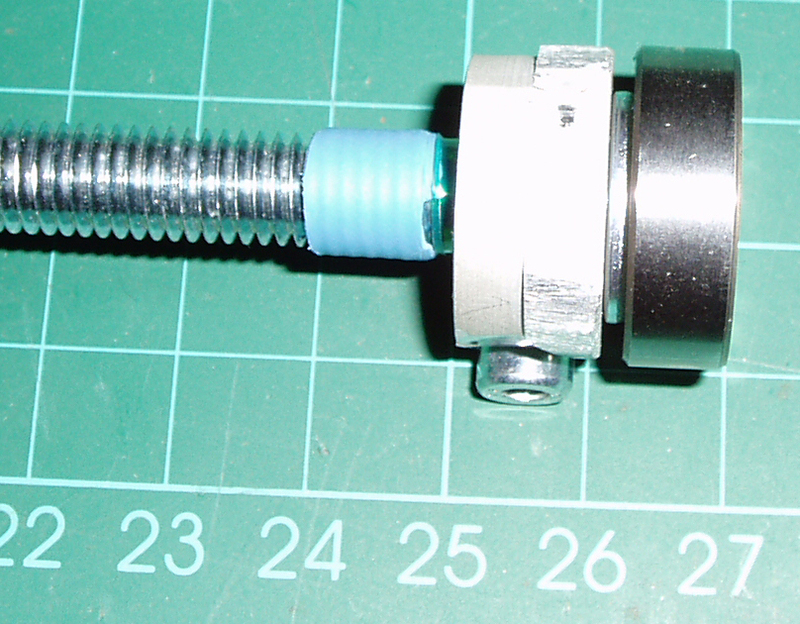 - Delrin seems easy to machine on the Lathe, much easier than Aluminium. I don't need it to look pretty as it's going inside the Z framework. 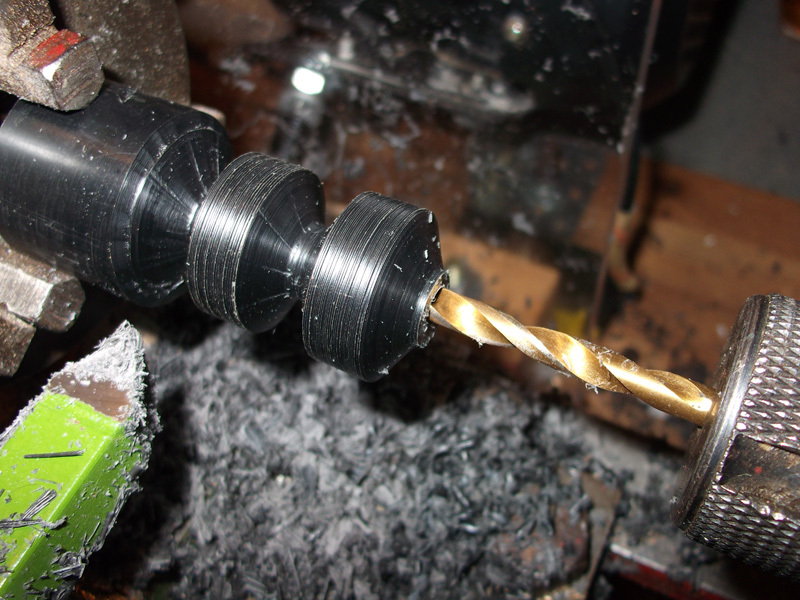 Drill out a 6mm hole so I can hand-tap the M8 Thread. Needs to be parted and cleaned up. Hand Tapped and ready for ramming into the 30mm x 60mm Framework. 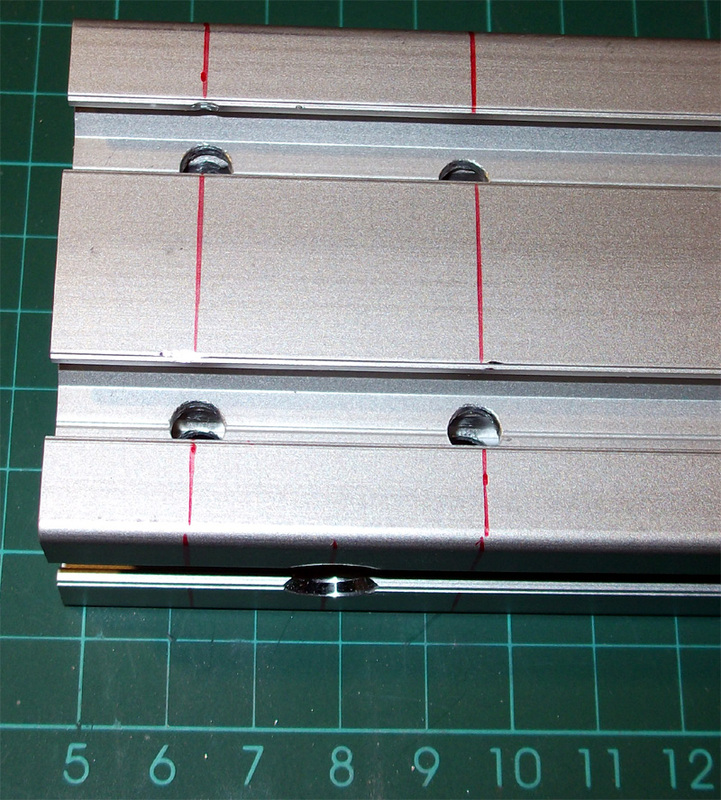 They line up with 10mm Holes drilled through the frame so the M8 rod can run up and down. 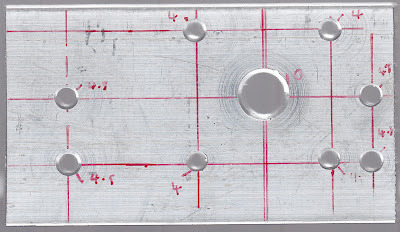 The Rectangular nature of the centre hole digs into the Delrin and stops it turning around. 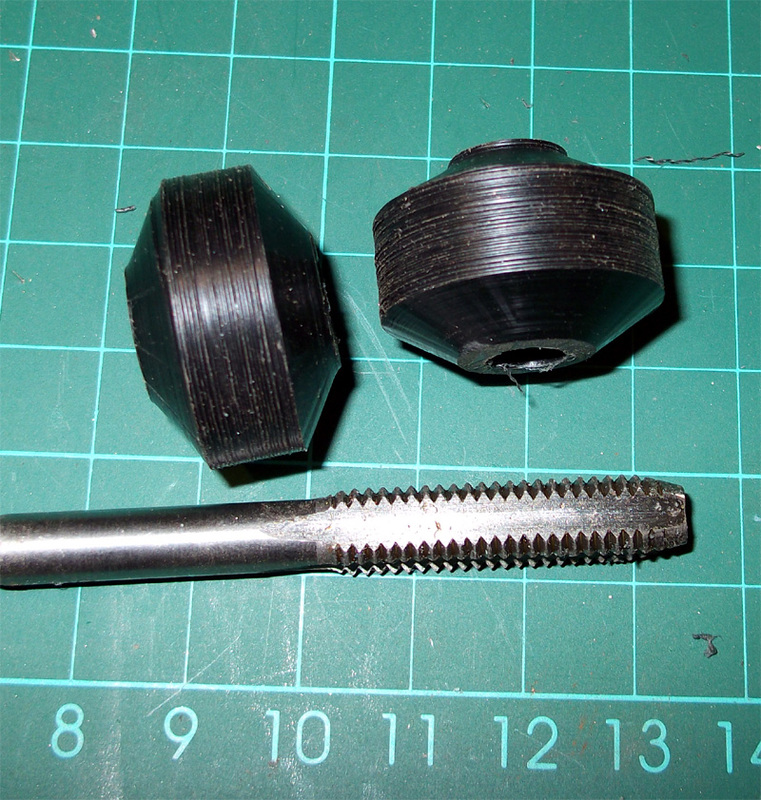 M8 Rods cut to size and an 8mm Clamp and washer is used to translate the load onto the bearing. 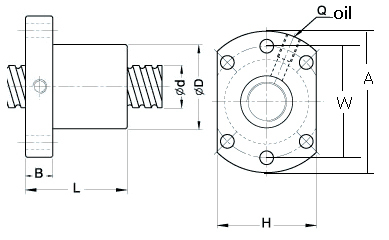 This mount allows the bearing to rotate and fixes movement. I has a small problem with my Flexible motor couplings. 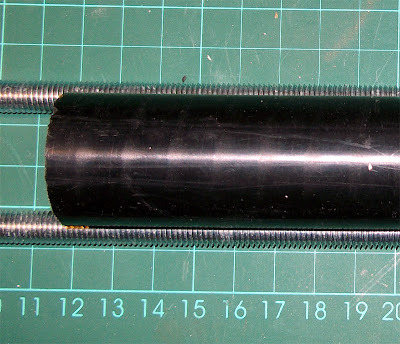 They were 6.35mm and the shafts of a NEMA17 motor are 5mm, so I used a section of 6mm Nylon tube and heated it in a kettle for 2 mins then forced it onto the motor shafts, giving a very snug fit on the coupling. 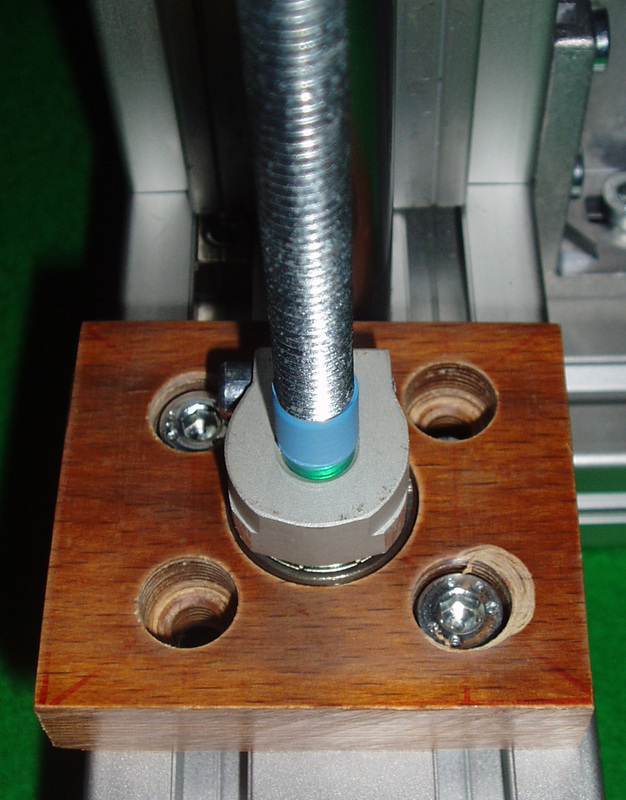 and Delrin nut inside the Frame Mount for the X Axis. 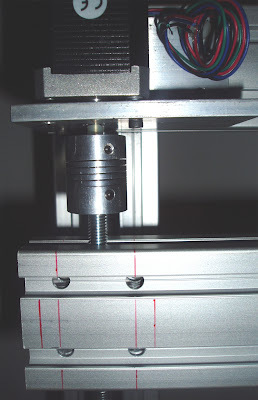 So the updated RepStrap V2.0 Machine now looks like this. I need to make the Ballscrew mounts tomorrow, so more updates shortly. 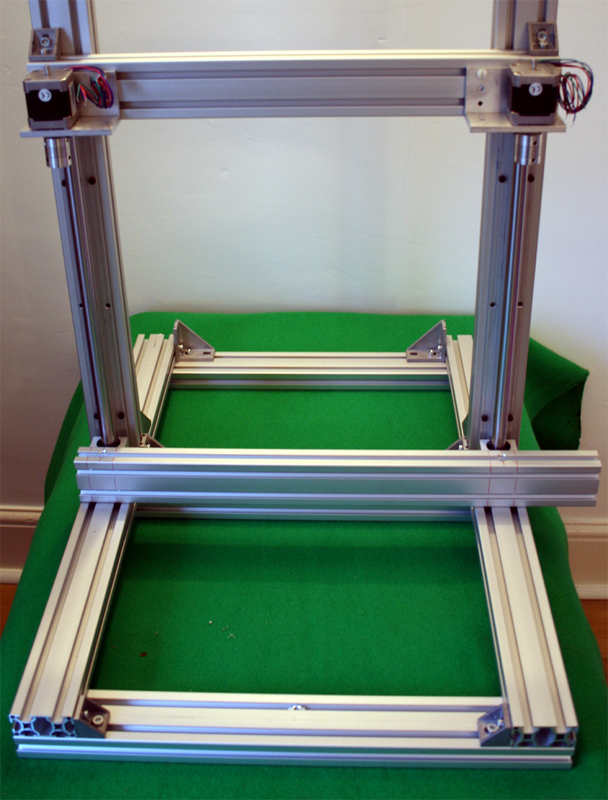 Machine stripped back to just the frame and now the Y axis (bed) is moving so no more slow Gantry. This means that the frame is fixed in the middle for the X and Z stages to move on and Y will move back and forth like Mendel. Some parts like the bed and Extruder mounts are made from 20x20mm to reduce size and weight. 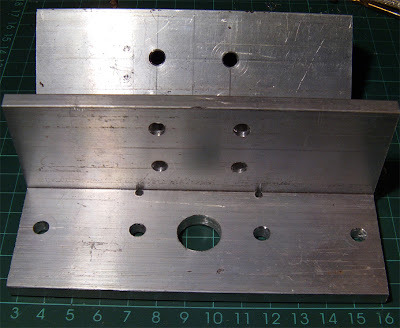 Most of the mounting brackets will be re-made from Aluminium Angle and a small number of parts made from Wood or Polycarbonate, like the motor mounts and Ballscrew attachments. Drilled - ready for assembly. 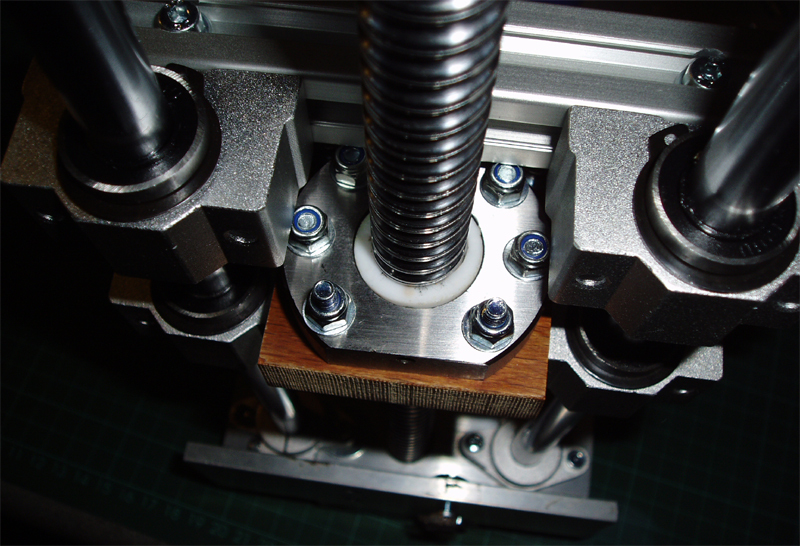 The two X stage mounts hold the two 12mm Rails using off-the-shelf rail clamps. 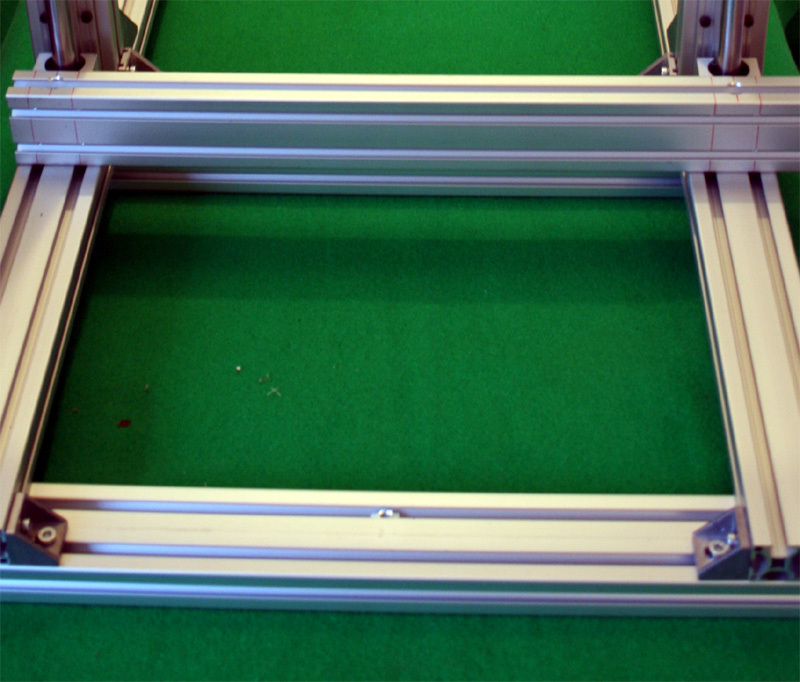 X stage that is mounted to a 30mm x 60mm Rail to attach to the moving Z frame. The Linear bearing blocks ( x 4, only 2 shows in photo) and the 16mm Ballscrew allow 32cm of X movement. 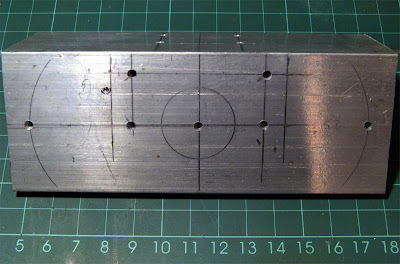 Drilled - ready to mount the two NEMA 17 motors that will drive the Z axis. Looking like a machine again. You should be able to see the 16mm Vertical rails that guide the X stage up and down. Wiring should be integral into the frame (but I may decide not to do that). 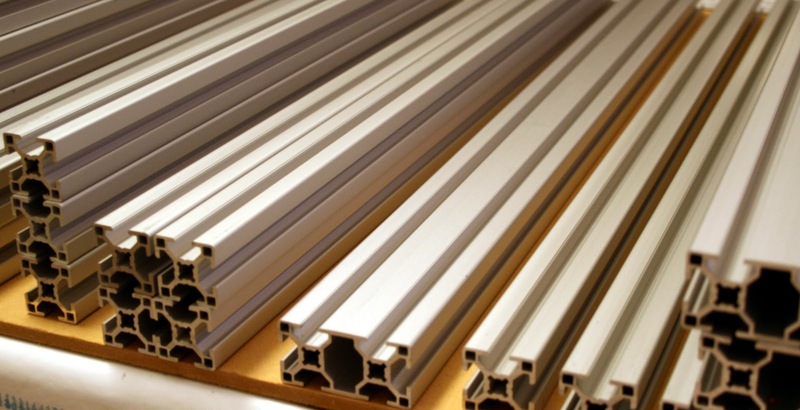 It should be easily enclosed in Polycarbonate or Acrylic if desired. 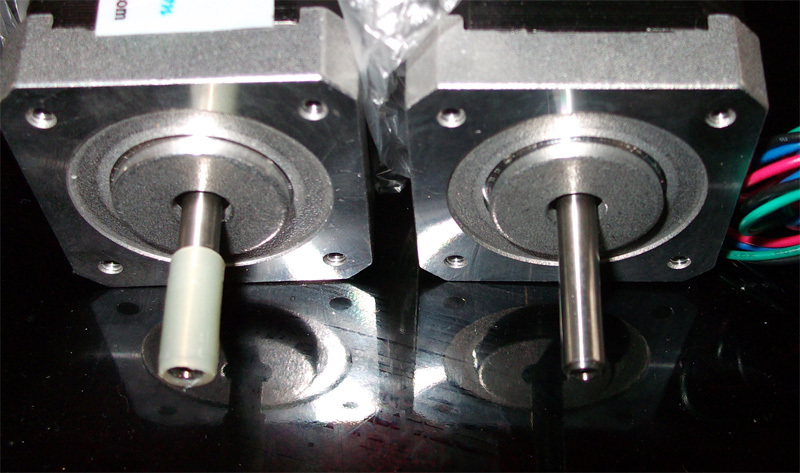 The next job is getting the whole Z axis to move on home-made Delrin bushes. 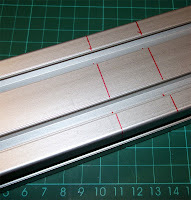 I plan to fix them inside the 60 x 30mm X Axis frame so it can move up and down. This will require my now working OLD Lathe and it will be the first time I actually use it for anything. 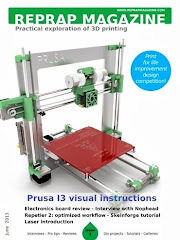 Faster print speed - (This is my main driving factor after having a slow Repstrap for 6 months). Change to Ballscrews on X and Y Axis (not sure about Z at the moment). Revised Electronics (Mega based - interim version for 2011, until I get my other set finished). 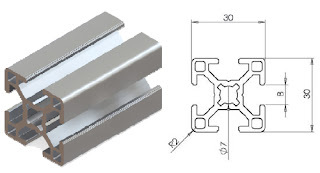 Integral Electronics Tray and wiring with reliable connectors. 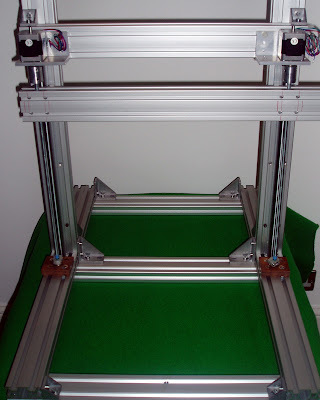 Change from a fixed to Moving Y bed and print platform. 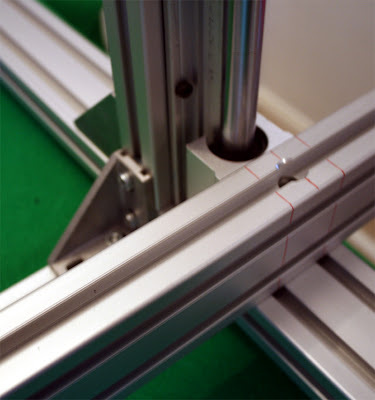 Simplify the Z axis by using dual Nema 17 motors (I may regret that decision...). Increase build-area to 300mm x 450mm x 300mm (Y being easily changed from 100mm upwards). 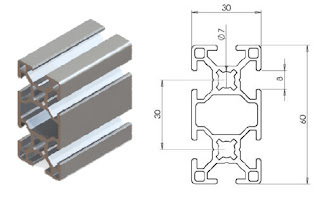 Have easy-fit/remove build platform at different sizes and thickness. 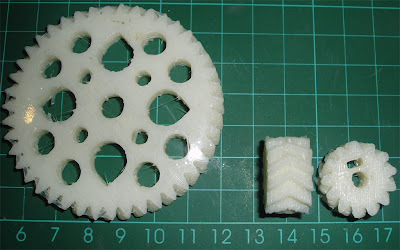 Switch to Herringbone Extruder Gears. Filament coil store and supply feed for 2 reels built into the machine. 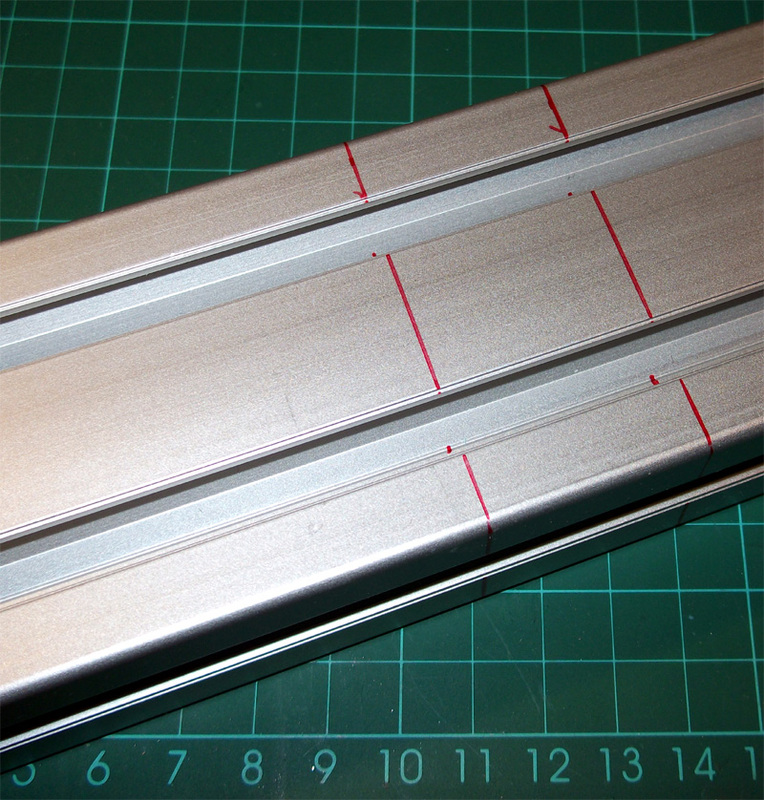 Use as many off-the-shelf components as possible. 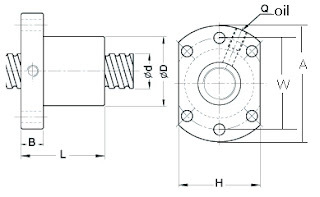 Use the off-the-shelf parts to maintain quality and accuracy in the design. Do the minimum amount of machining as possible. 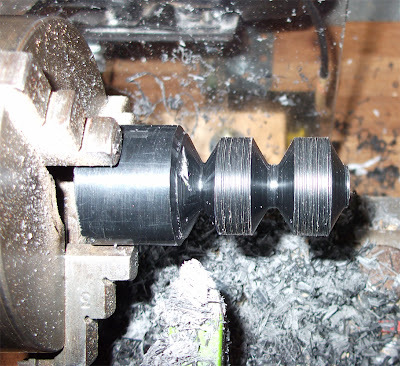 - But I may do some just for fun as I have a shabby Lathe and Band saw now. 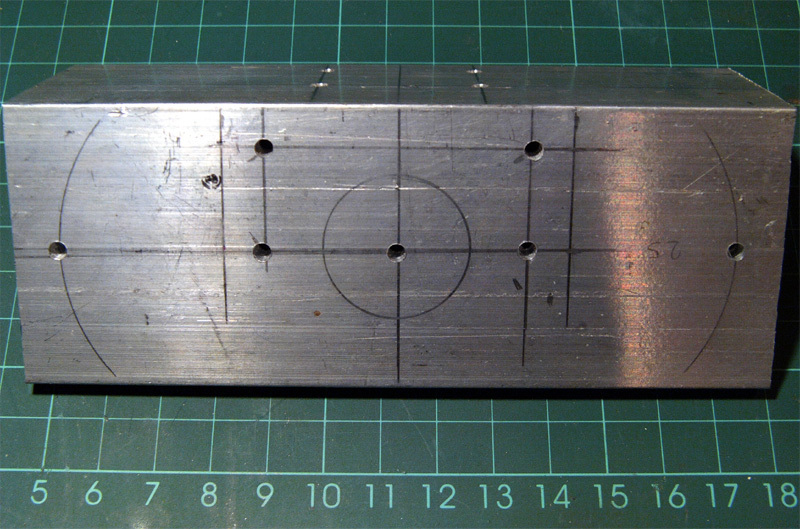 Where I need to do machining then it needs to be non-critical or easily adjusted to retain quality. I Intend to be inventive to keep costs down. 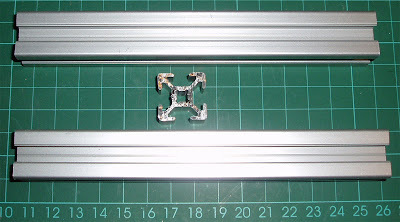 * I don't intend to use Belts in this model, but I have a long-term plan for a miniature design using belts instead of Ballscrews maybe directly after this one. So why don't I just make a Mendel? 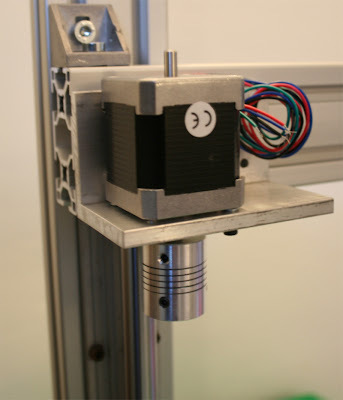 - Well I like the thought of a machine I can build and design myself and I have learnt alot from the first attempt last summer. And finally it should cost the same to update my RepStrap as it would to make a Mendel, so here we go! 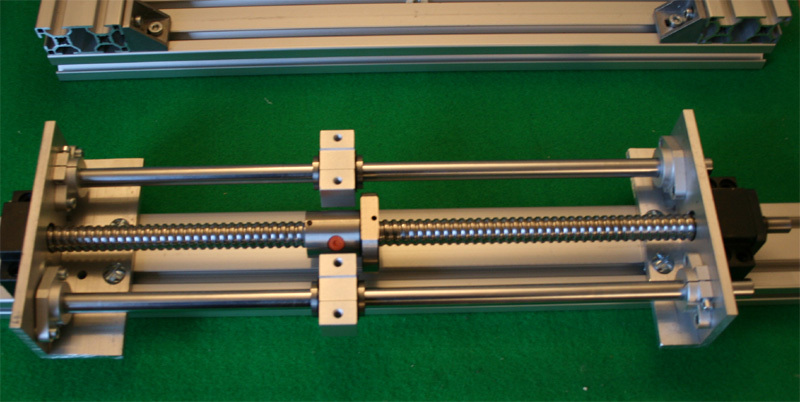 First parts of the new X stage, supported with 16mm Linear Bearings and a 30mm x 60mm Aluminum frame that will incorporate the Z vertical movement by using Delrin and leadscrews. The above plan may sounds like this will be far away from the reprap project goals as it's still using Aluminum and machined components, but I intend that this machine will make it easier for me to develop real self replicating machines in the future. 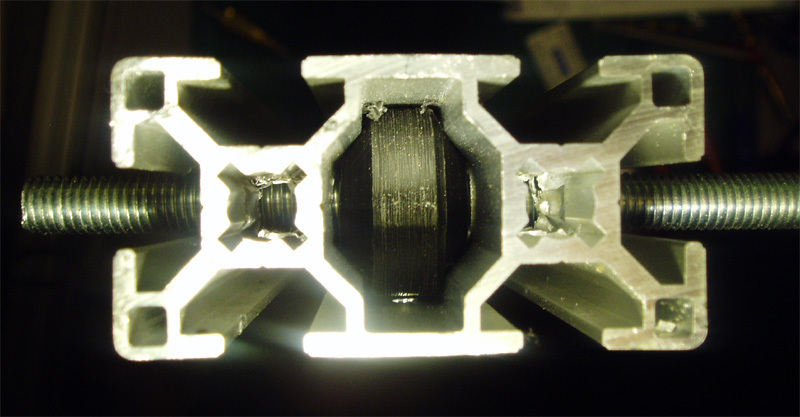 Also Aluminium is 100% recyclable so on that front it's not anti-reprap. 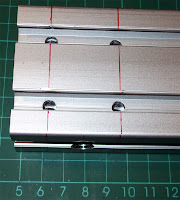 The RepStrap makeover uses more MCS Aluminium framework. 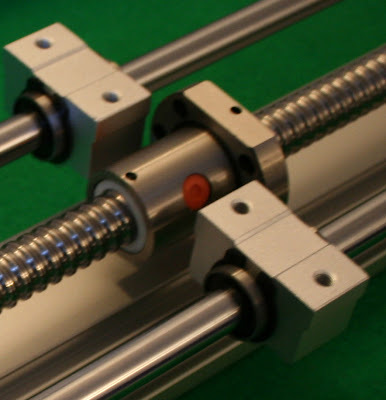 And Ballscrews for the X and Y Axis. 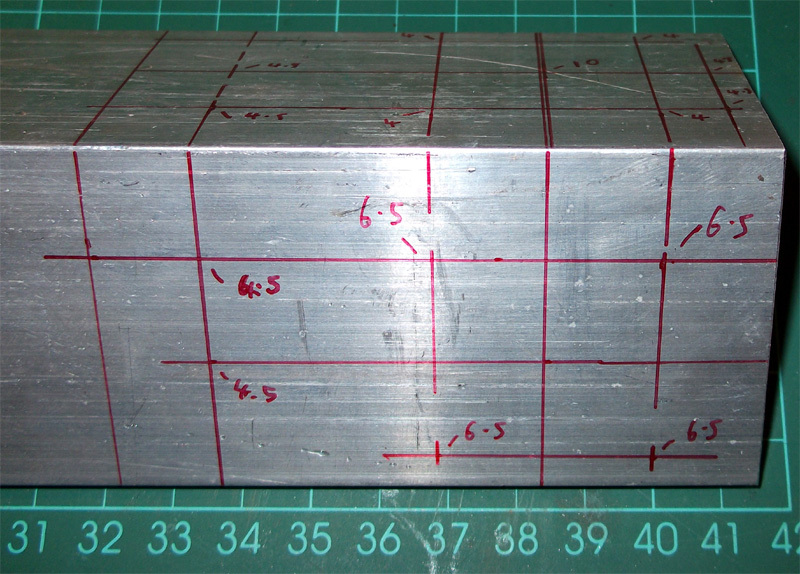 Z Axis will be Trapezoidal lead-screw or just M8 rod to start with. I also invested in a Fury3 Chop-Saw for Christmas, this can cut Steel, Aluminium and Wood with one blade - Nice! Some off-the-shelf Internal R/A fittings and also external brackets will be used this time instead of R/A cut Aluminium. 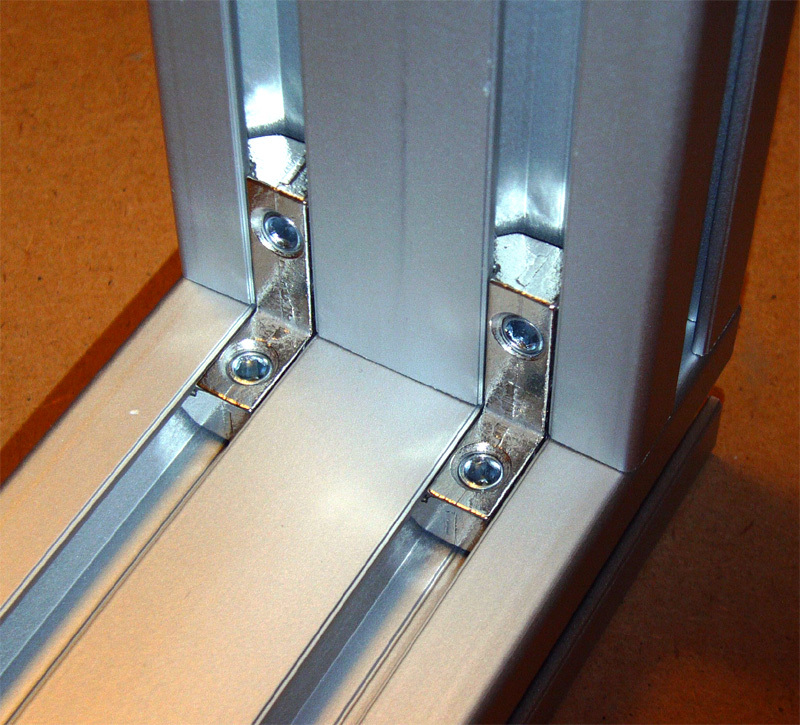 It's easy to cut, drill and fix together with T-nuts and bolts. This is the point I should have made a 3D model of my new machine, but I have a whole load of Ideas that may or may not work and I always find it better to evolve as I go. 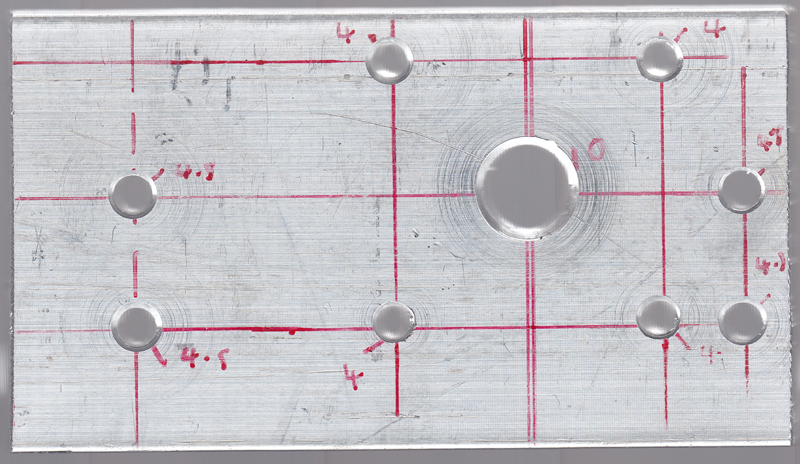 I'm going to start cutting Aluminium later, hopefully I will have something to post in the next few days, and I'll try to get up a list of what I'm planning to achieve with this new design. New Tools for Christmas and a start on my RepStrap Overhaul. I had some new Tools for Christmas and have finished restoring my old Lathe to working order so I'm going to start my planned upgrade of my RepStrap - This time around I'm going to make more notes (Eventually for the Reprap Wiki, I hope) make some design drawings and take lots of Photo's. 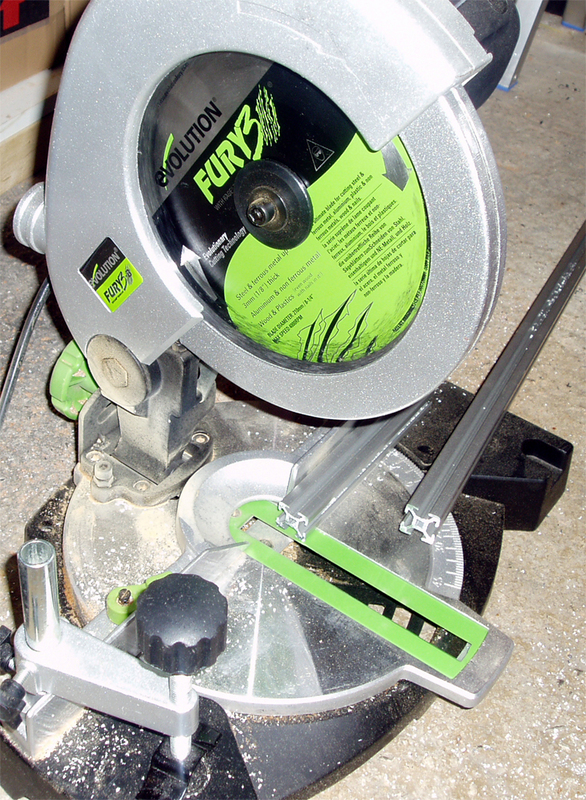 BandSaw for Christmas. – Now unpacked and Running. 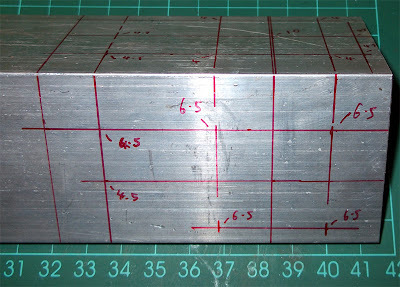 More Aluminum MCS sections for a new design. 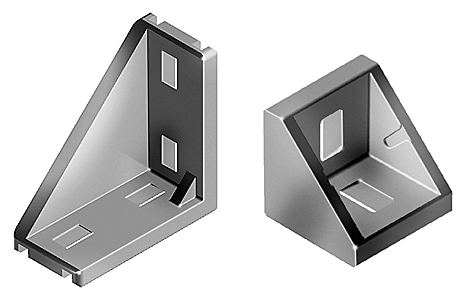 30 x 30 and 30 x 60 Brackets. 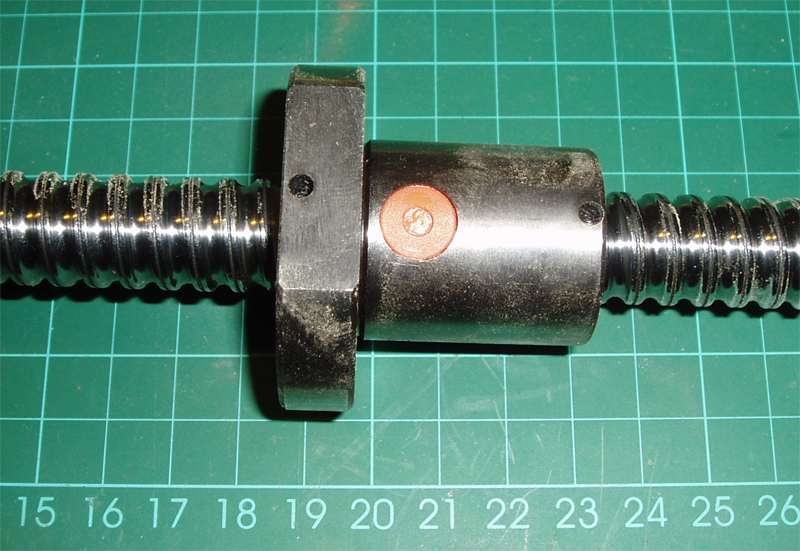 Received a set of Ballscrews and rails for a complete overhaul of my Repstrap, more pictures to follow. I'm going to strip my current Repstrap later and start the rebuild tomorrow.